Spring in Montreal is a concept. It can arrive fast (too fast in February) or at least makes its presence felt, as it may… Not happen at all. Next step : summer please without stop. It may just be a feeling because of the extremes very marked of the weather in Montreal and Quebec Province, but it seems that some years we go from winter to summer directly and from summer to winter… Not ! Fall always exist even short in Quebec. In our imagination or ideal, trees bursting into buds, flowers pushing their way through the ground, birds sing, days become longer… Isn’t it? In Montréal, as soon as we see a sign of spring, we are excited to wear summer clothes – after some -30°C, low but positive temperatures, we are in the South! – We also can attend to the wooden terraces installations, minds are waking up, we feel a real excitement in the city. We wait so much for festivities marking the beginning of summer in Montreal, le Grand-Prix de Formula 1. It is crazy. Totally crazy. 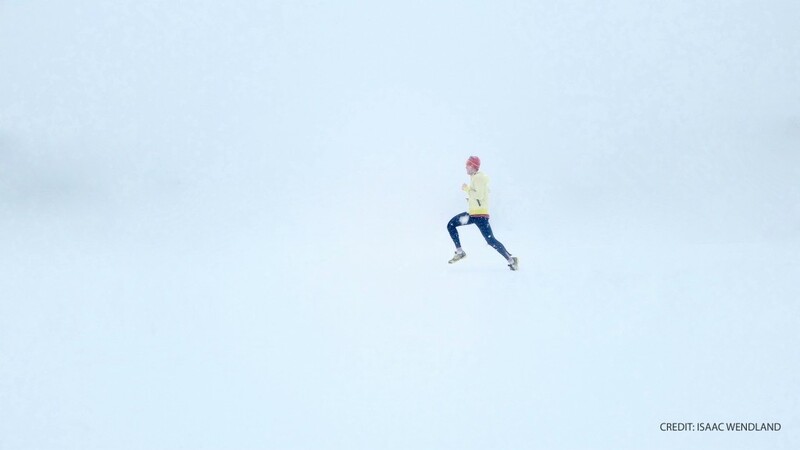 Let’s analyse more precisely our Montrealer spring, mainly for runners! For some years now, as of February, some days give the first signs of an early spring: some sunny days and some others rainy days. Yes, “rainy” and not “snowy”. Rain come over our faces when we run and it is not the best rain we know. This one can be very rude because of winds and cold. Worst, sometimes it is hail. In those moments, we would have been better staying home making some muscle reinforcement. The significative sign is temperatures. It can go up to 18C° (64°F). Yes, totally cra-zy. But we are not going to debate about climate changes but about the impact that can have on our running sessions. The snow melts, and do you remind of rain an hail? Of sunny and rainy days? It is the same yo-yo effect with temperatures. So melting snow can refreeze and we also can have freezing rain. Combo! In short, this time can be very hard to manage for runners. Yes, we can go out running with some courage and the good equipment but we also need to keep in mind that the risk of infury is higher and it is at each corner. Some years it is before, some other years it is after, sometimes both, before and after the spring equinox (on March 20th 2018), that we live snowstorms worthy of a Quebecer winter. All of it can goes until late April or even beginning of May. Too much. Here the first hope of spring and better days goes back home and sleep during this #2 of the Quebecer spring. This is just the 3 days during and after the snowstorm. After that, the snow melts again, the worst slush is back with too much meter depth (sorry for the overstatement but…) and ruin our runs. But we know it. Real spring is very near to come. Sometimes April, May or June, sometimes even later (spring in 2017 has been very rainy in Quebec), the real spring comes! No more snow, no more storms, time for SUN, time for everlasting terraces, time for pink balls (or rainbow balls) on st-Catherine Street in the Village, time for pedestrians, for pleasant and festive outdoor facilities (among them Les Jardins Gamelin, Les Jardineries, Le Village au pied du courant, and numerous other places in the different neighbourhoods of the city), time for skirts,… Summer is HERE. The only difference with summer would be the fresh air evenings, when the sun goes lighten the other part of the planet. To run? It is just PER-FECT. Do you like spring as a running season? 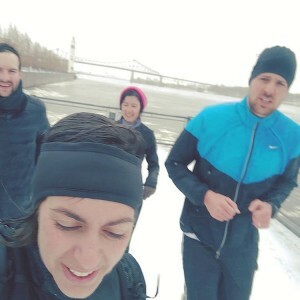 This entry was posted in Uncategorised and tagged activity, discover, heritage, Montréal, running, running tour, seasons, slush, spring. Bookmark the permalink.